Is there a sudden splurge of fake toothpaste ... ? ... or are we just more aware of them now? 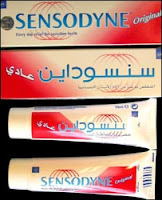 Fake Sensodyne toothpaste contaminated with DEG was found in the UK today. Counterfeit Colgate toothpaste has shown up in 6 US states and Canada (the counterfeiters conveniently misspelled "SOUTH AFRLCA" so that it was easier to spot them) - forcing the company to put up a warning site. "Please THROW AWAY ALL YOUR TOOTHEPASTES and re-buy some more TOOTHEPASTE, non-toxic, WE DON'T WANT TO DIE!!!" Chances are, counterfeit toothpaste (along with many other CPGs) have long been sneaking into the gray supply chain through dollar stores, car boot sales, flea markets, and the internet. But now the public radar is up about 'contaminated' products ... and "toxic toothpaste" makes a heck of a headline.